Recent rule changes at the International Medical and Dental Hypnotherapy Association (IMDHA) have opened up some amazing opportunities for becoming a Certified Hypnotist! Before May, 2017 150 hours of the required 220 needed to be live, classroom instruction. This required aspiring hypnotherapists to invest over two weeks away from work to achieve certification! The hands-on hypnosis training must be taught in live sessions, but most of the other important hypnotherapy material can be done by distance learning. 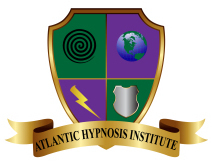 The Atlantic Hypnosis Institute is one of the first approved IMDHA schools to offer this option to its students. So how does this work? The live portion of the certification training is held several times a year in beautiful, Augusta, Georgia. During this class, you will learn the essentials of how to hypnotize yourself and others. The remainder of your training is done virtually with a twice weekly class that covers all the other essentials of doing hypnotherapy. The beauty of this new training plan is that it is very flexible! If for some reason you can not make a session, you can view the lesson later when you have time. Your progress is tracked by our school and if you need to take a break from training for a while, you can do it!